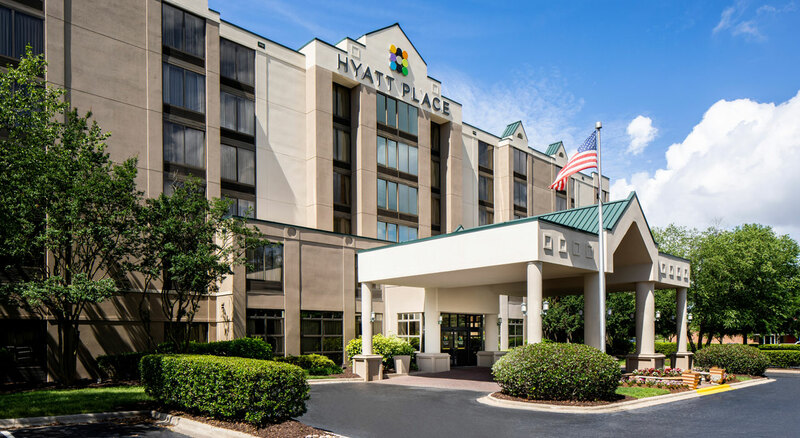 Hyatt Place Atlanta/Alpharetta/North Point Mall is ideally situated in the heart of Alpharetta's commercial district, minutes from corporate parks, shops and restaurants, North Point Mall and 20 miles northeast of downtown Atlanta. Hyatt Place Atlanta/Alpharetta/North Point Mall also offers convenient access to all major area attractions: Six Flags, the Georgia Aquarium, the Georgia Dome, Turner Field, World of Coca-Cola and Stone Mountain. During your stay, a Host will happily assist you with orders from our new Gallery Menu, Fresh 24/7, featuring our signature flatbreads, a Make It 2 option and delicious new sandwiches, greens, apps & more. Or you can enjoy specialty Starbucks® coffee, premium beer, wine & cocktails over friendly conversation at the Coffee to Cocktails Bar. Also enjoy a free breakfast daily.